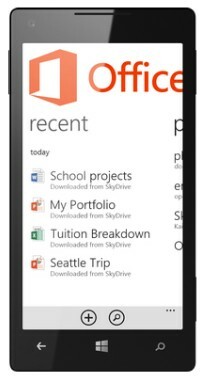 Microsoft revealed today in a blog post some details about how Office 13 will integrate with Windows Phone 8. The blog post mostly discusses the cloud-based features of Office 13, but notes that the latest version of Microsoft's suite of productivity software will extend to mobile devices, as well. For example, Microsoft Word will remember where you were reading within a specific document and when re-opened on another device (such as a Windows Phone 8 smartphone) will go straight to that spot. PowerPoint and Excel will exhibit similar behaviors. Microsoft has also revealed a glimpse of the refreshed design of Office for Windows Phone 8, though it stopped well short of revealing all the consumer-facing features. Windows Phone 8 is expected to debut later this year. Google hopes the latest addition to its Chrome browser will make reading web sites less frustrating. The tool, called scroll anchoring, will prevent web sites from bouncing users up and down the screen. Google has updated all three of its Android productivity apps with a focus on notifications. For example, people will now see notifications within their Google Drive Android app whenever someone mentions them in a comment or shares a document with them directly. Google has this week made good on previous promises to make it easier for people to locate their cars after parking them. Maps for Android and iOS is being updated with a dedicated "Save Your Parking" tool that lets people not only pinpoint the location of their car on a map, but add details such as floor level, section, or parking spot for large parking structures.